I have been here for about a decade, 6years under this username. To answer your question accurately I apologize but my answer is also a question. As long as you dont need current limiting or a voltage cutoff, it works well. I am both really happy you have your arduino throttle working.... and cringing at the block "programming" used. On the otherhand, its literally what I do for a living. Topic: Why are more of you DIYers not in the e-bike business? Re: Why are more of you DIYers not in the e-bike business? I learned on 50cc pitbike motards... started with them, then dirtbikes, then sportbikes. wheelies on ebikes that have amp or torque based throttles is easy. wheelies on ebikes that use speed throttles or laggy throttles is a bit harder. Something the size of yours with an enormous engine poking out of it. Sure an EV boat would be cool too, but it wouldnt have the same "joke" factor in it. The act of importing them for road use is federal. The act of registering, titling and how you may drive them on the road is state. LOL I forgot I even made that chart. Ignoring the fact there are countries other than the USA.... Just in the USA there are 50 states, and all of them individually have their own different laws for classifying and registering vehicles. so no matter what you say... theres probably a state where you're wrong. 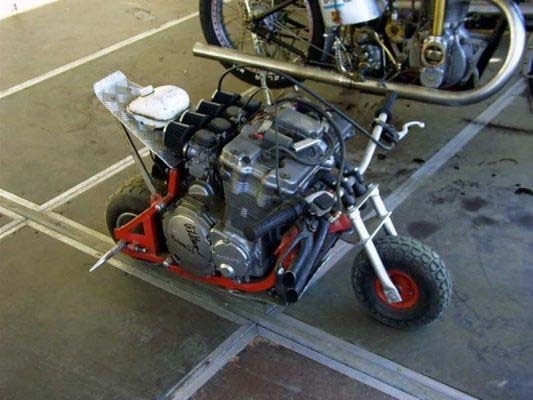 Just like the "750w" goped ESR750.